We’re thrilled to have Jennifer Lee Kirk as a guest writer again this week. 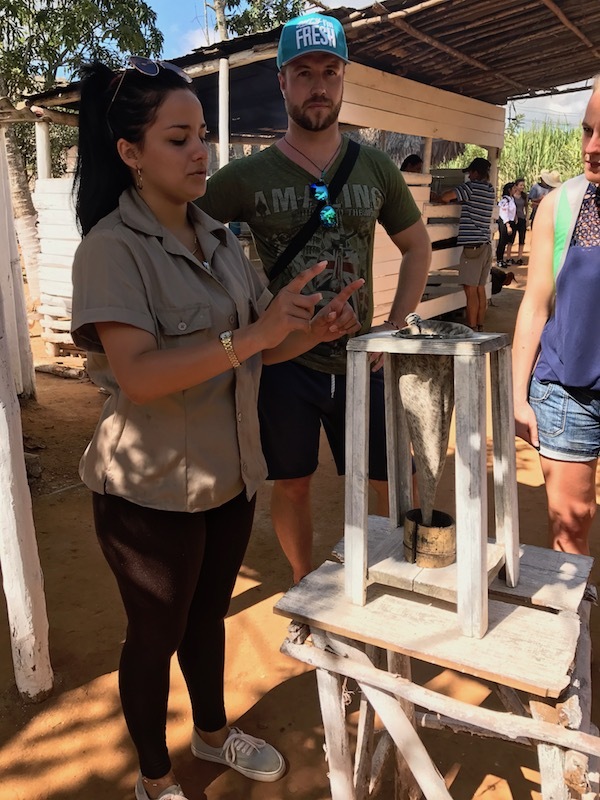 Jennifer visited Cuba in November of 2016, spending two incredible weeks in the country visiting over half a dozen cities, towns, and sights. 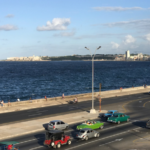 From celebrating Thanksgiving in Havana to being there when Fidel Castro passed away, Jennifer has many awesome experiences to share. 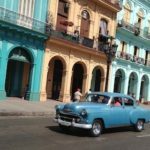 This is another post where she’ll be sharing tips on Cuban travel for Americans wanting to visit the Pearl of the Antilles. You can find her on Twitter at @The_Jenius. Jenny recently embarked on her latest adventure 30 Stars in 30 Days where you can follow her as she visits 3 countries in 30 days gathering 30 Michelin Stars. 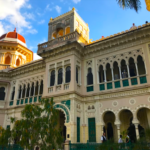 After disembarking from Trinidad, I made my way through the Sancti Spiritus province to Villa Clara province. This takes you through the stunning Valley de Los Ingenios (Valley of the Sugar Mills). 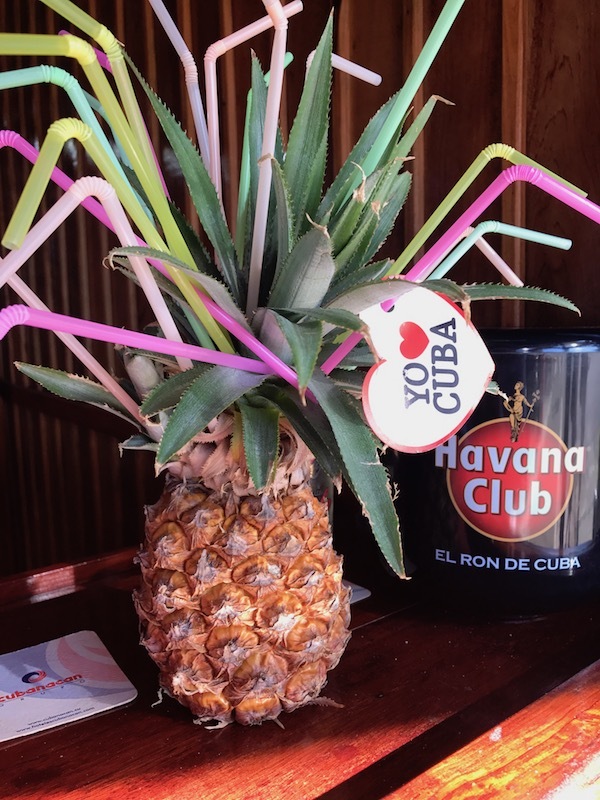 Sugar Trade has been an important industry for Cuba since its introduction by the Spanish in 1512. It also was the driving force behind the introduction of slavery to the Caribbean Island. 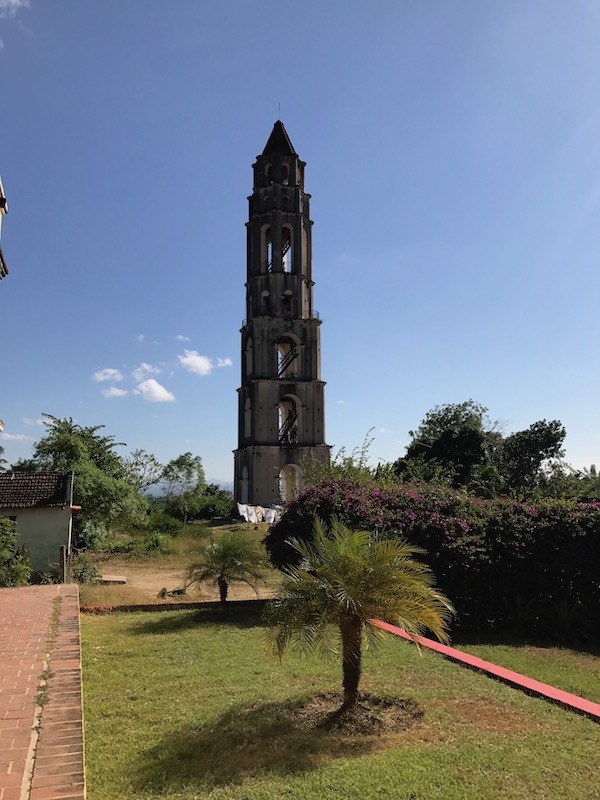 As you travel through Cuba, you’ll see remnants of this brutal side of Cuban history, including my first stop on my way to Valle de Vinales: Plantation Manaca Iznaga. 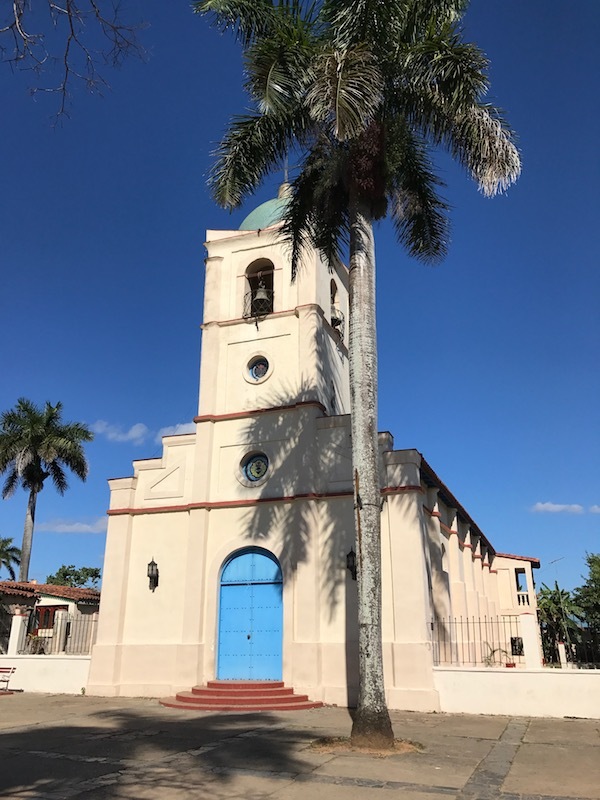 A 147-foot bell tower, it served to signal the beginning and the end of the workday, as well as a display of the plantation owner’s power over his slaves (and a way to boast of his stature in the local industry). The bell now lays next to the owner’s home as it’s weight is too much for the older structure to bear anymore. You may journey up the tower, but it is not for those who can’t handle heights! After my quick stop to Manaca Iznaga, I continued on to Santa Clara, to visit the Che Guevara Mausoleum. The guillera fighter is incredibly revered, not only by the Cuban people but many many all around the world. The mausoleum houses Guevara and six other revolutionary fighters killed during an attempt to spark an uprising in Bolivia in 1967. 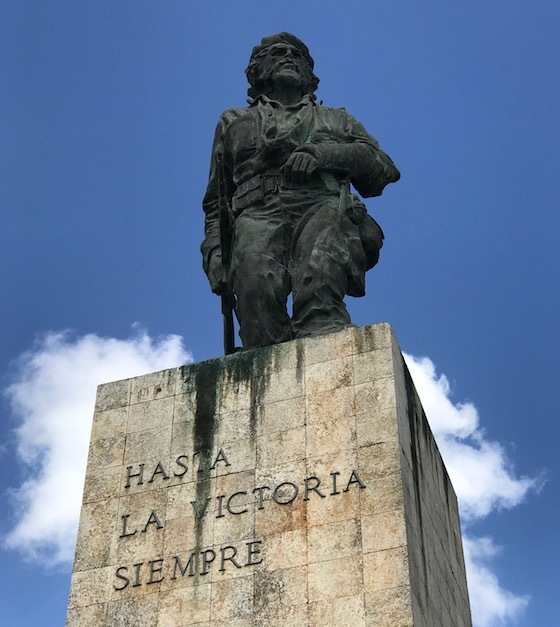 Thirty years later, in 1997, his exhumed remains were discovered in Bolivia and returned to Cuba and entombed at this memorial. 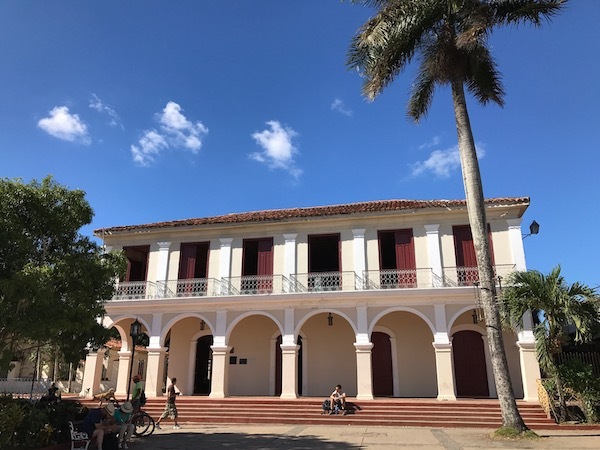 Up top is a 22-foot bronze statue of Guevara and house many of his personal items and display many photographs of the beloved leader for visitors. 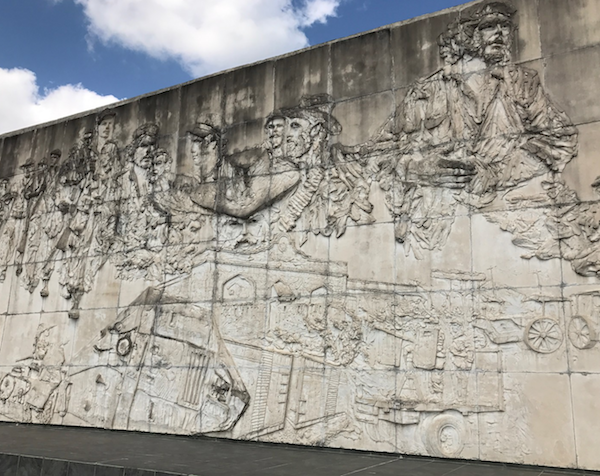 Visiting the site is incredibly powerful – if you want to be a part of bridging the divide between the American and Cuban people, a great place to start is educating yourself on their love affair and reverence of the revolution. And this site will certainly leave a lasting impact on how much a nation can love a leader of a yesteryear. 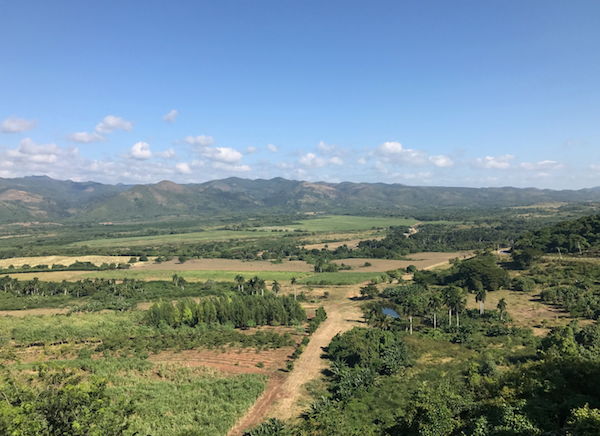 As we left Santa Clara we made our way to see the agricultural side of Cuba. 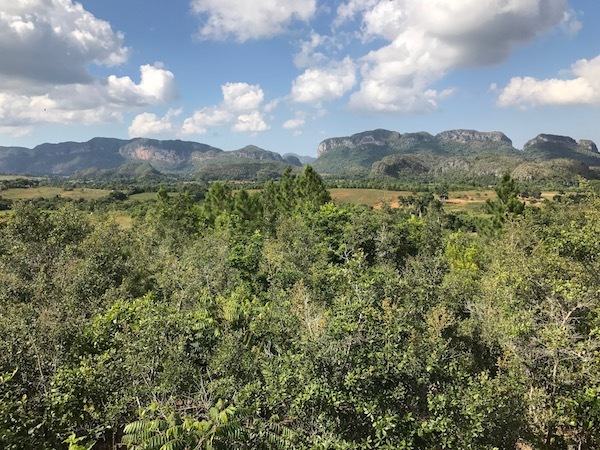 Located at southwest tip of Cuba is Valle de Vinales, a gorgeous valley located in the Guaniguanico Mountains. 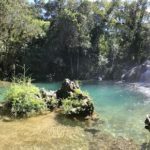 Vinales is calm, serene and most of all – lush. The greenery that can be found is almost overwhelming. This is also the heart of the tobacco industry. 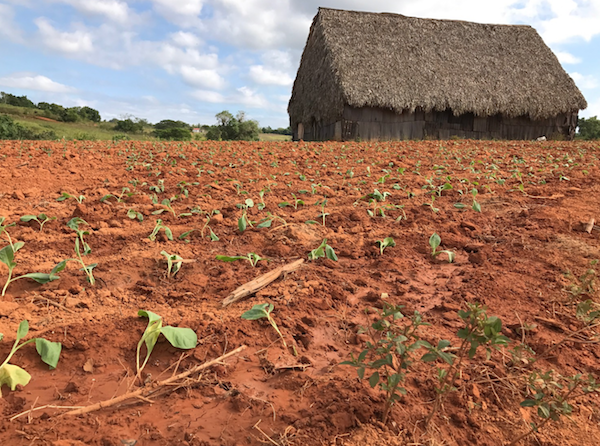 Here you’ll find plantations that grow the best of the best tobacco. 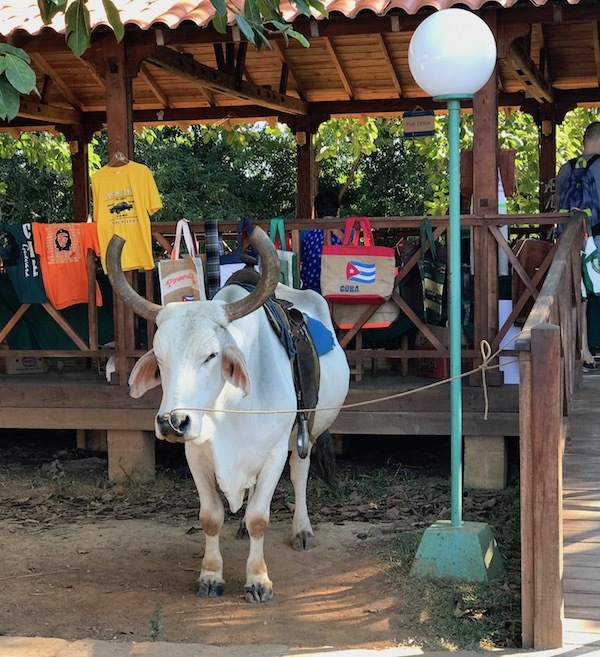 Locals smoke brandless, homemade cigars here, but the tobacco grown here is also used for the famed Cohiba and Montecristo cigars. A stop at a plantation is a must. 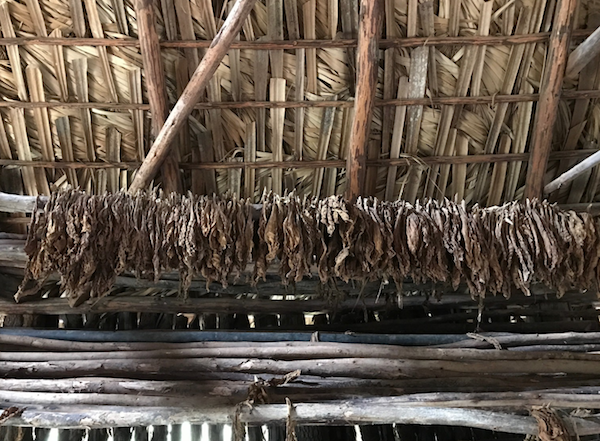 There you can see endless tobacco sprouts, tobacco drying in barns and get a lesson in rolling cigars. I signed myself up for a walking tour of the valley to see some local sights, but it really was an intensive all-day hike. While I highly recommend this activity, come prepared with the right shoes and be advised this is no leisurely stroll. First, we stopped by a coffee farm. 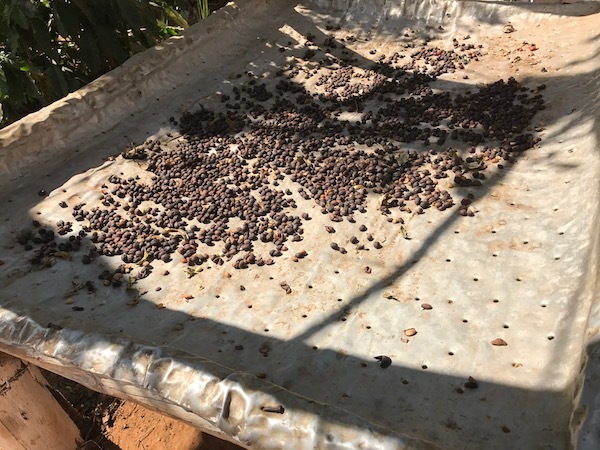 I’m not a coffee drinker, but it was fascinating to see the process behind the drink that fuels productivity around the world. 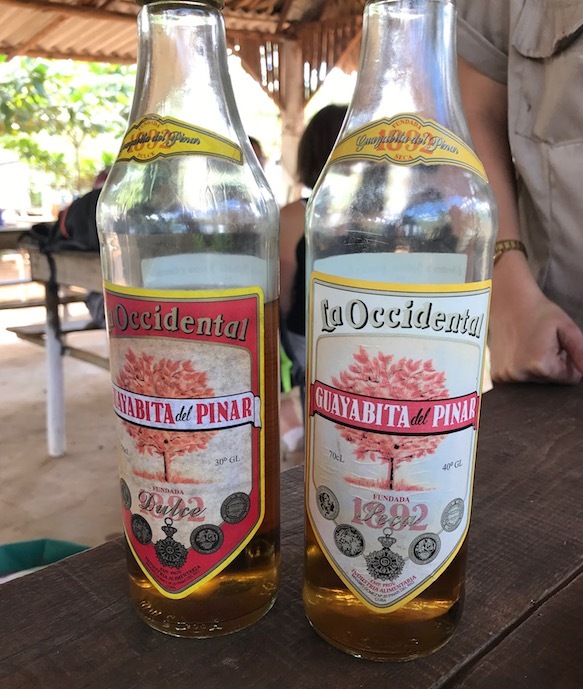 They also had two local-to-the-valley rums that are difficult to find to taste, as well as local honey and cocktails (SCORE!) to drink as we cooled down on our stop. I bought a bottle of each of the rums which I almost regretted for a hot minute, given their weight and the fact I still had all day to hike. But I survived (miraculously) and now those rums sit in my kitchen, worth their weight in gold thanks to what I went through to acquire them. As we continued through the valley we stopped at a small lake with a cafe serving drinks and fresh coconut juice. 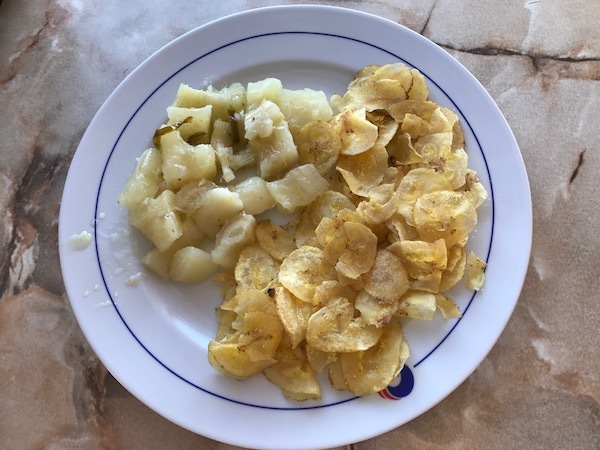 Once I drained the juice (quickly I might add, it was mighty hot and humid that day), they hacked away the husk and drizzled honey on top for a quick, delicious snack. 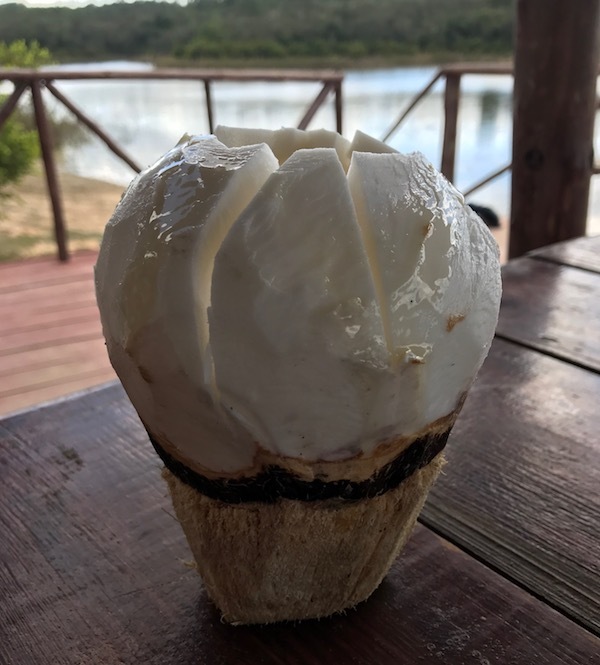 Coconut water and a snack! We then continued our hike up the mountain to a tower which overlooks the Valley of Silence. Simply stunning. Another wonderful spot to enjoy the valley is Hotel Los Jazmines. The bright pink exterior harkens back to the days of Cuban glamour. There you can listen to live music and check out local artisans. 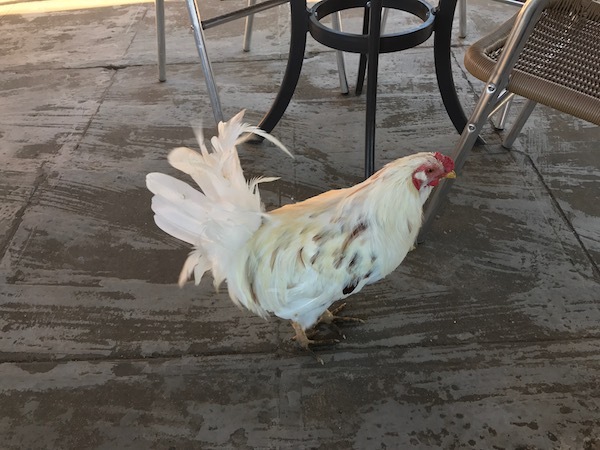 Grab a bite and a drink while you watch everything from dogs to chickens to bulls stroll by. Be sure to also stop by the pool and watch a sunset over the valley with the kitties! 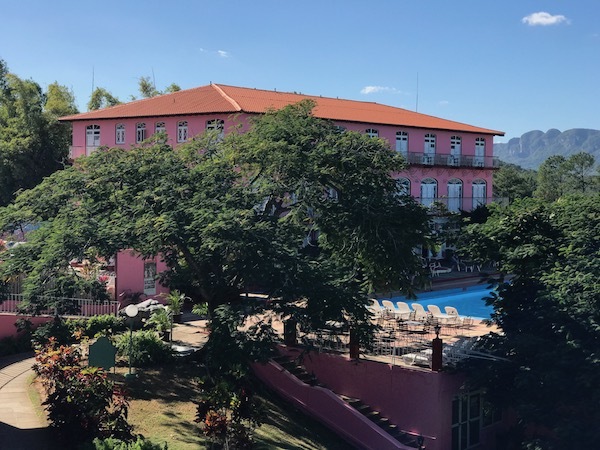 Stand by Me in Vinales at Hotel Los Jazmines from Jennifer Kirk on Vimeo. If you find yourself needing to exchange money while visiting Vinales, arrive at the bank or cadeca early! The lines are very long (read: hours) and the town has been known to run out of money (temporarily) due to the crushing amount of tourists that have been flooding in as of late. I would suggest arriving with enough CUC to last you to the next stop if able. Be sure to stroll around the small downtown after spending a day in the wild. 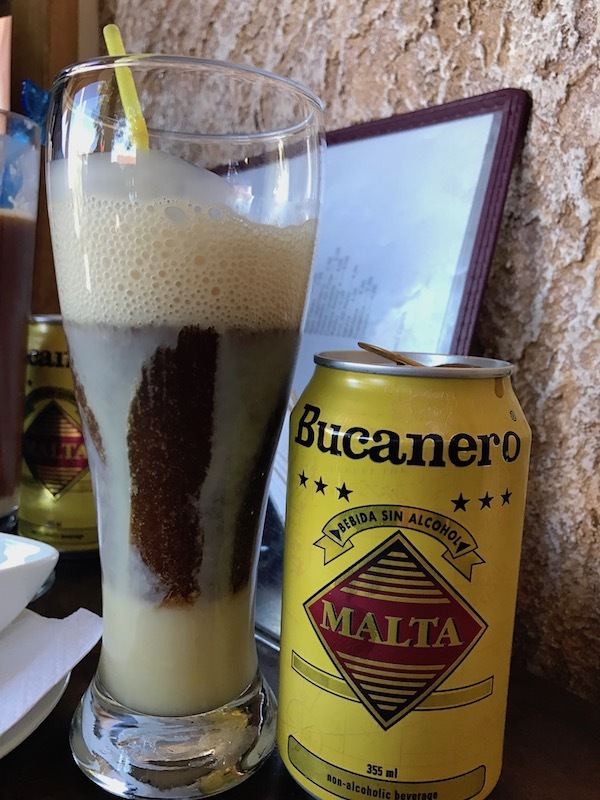 While there, grab a unique and flavorful malt beverage at a local restaurant when you need a break from the heat. 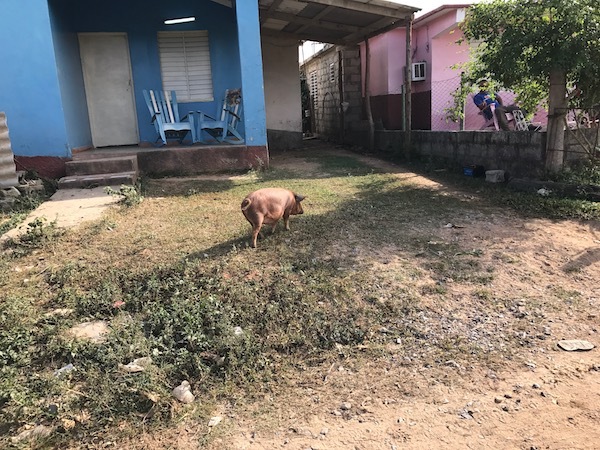 And don’t be surprised when you see pigs hanging out in your neighbor’s yard! 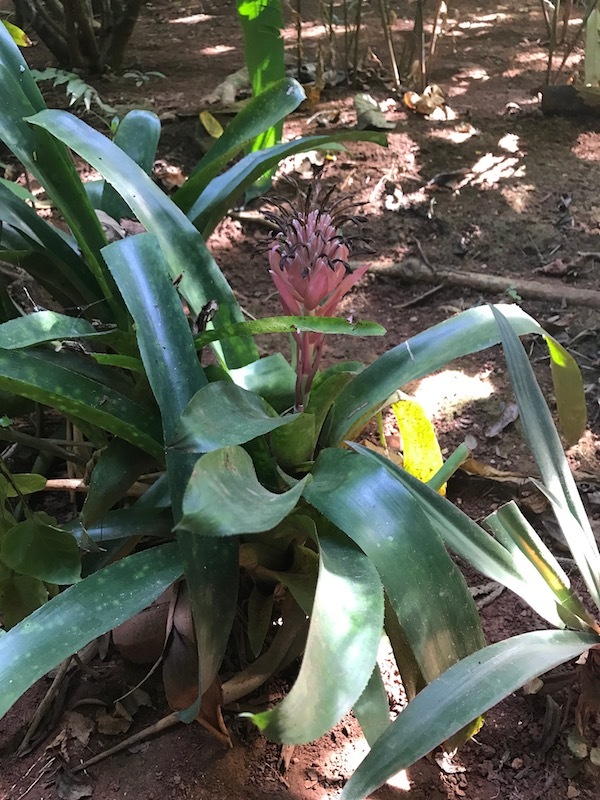 My last stop in Vinales before catching the Viazul bus to Havana was the local botanical gardens. This free attraction is a labor of love by the small staff and was incredibly fascinating. 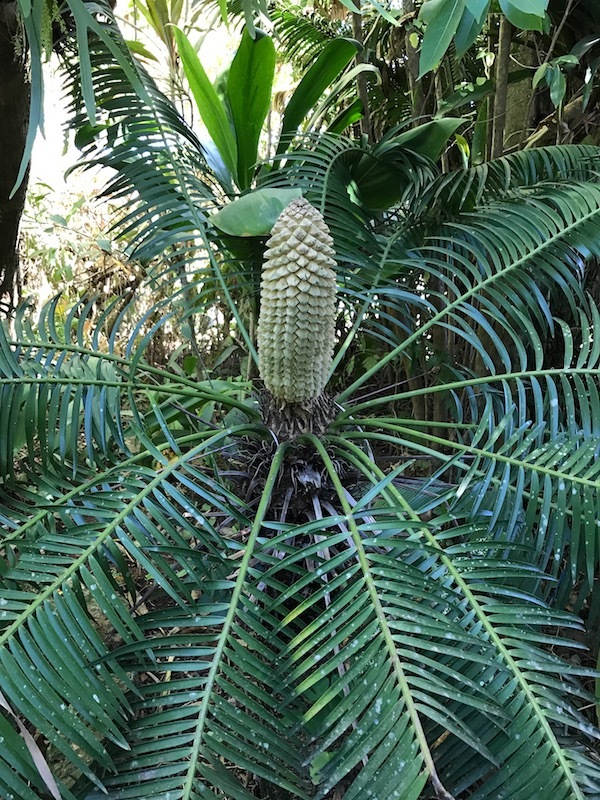 Founded by a Chinese immigrant, it was originally the family gardens and used for medicinal purposes before being opening to the public. While small, the tour focuses on local fruits, vegetation, and wildlife that are native to the region. Worth the quick stop. 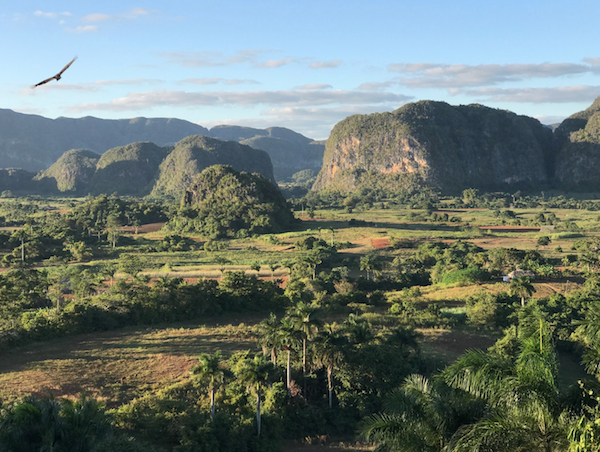 While getting to Valle de Vinales is a long journey from any major Cuban city, it’s worth the effort for a nature lover or anyone curious to see as many facets of Cuban life as possible. I probably would have looked around for a wagon so I could haul as much rum as a could! Good for you! I’m so jealous you got to do this. Looks like it was an amazing trip! That bell tower is so majestic! I can’t wait until I can afford to get over to this part of the world, it looks amazing! Such a great cultural experience for the whole family. This looks like such an amazing experience! I would love to visit Cuba some day. 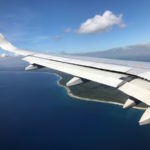 Your post makes me want to go soon! What a great and memorable trip you had. 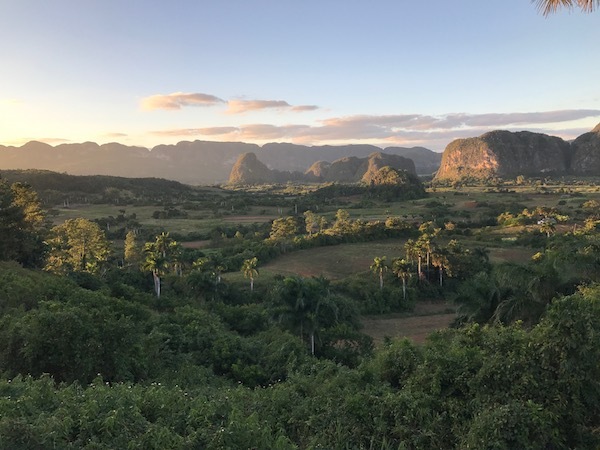 Reading your post makes me fall in love with Valle de Vinales. I love the view and greenery. I hope soon I can be able to go on vacation here too. 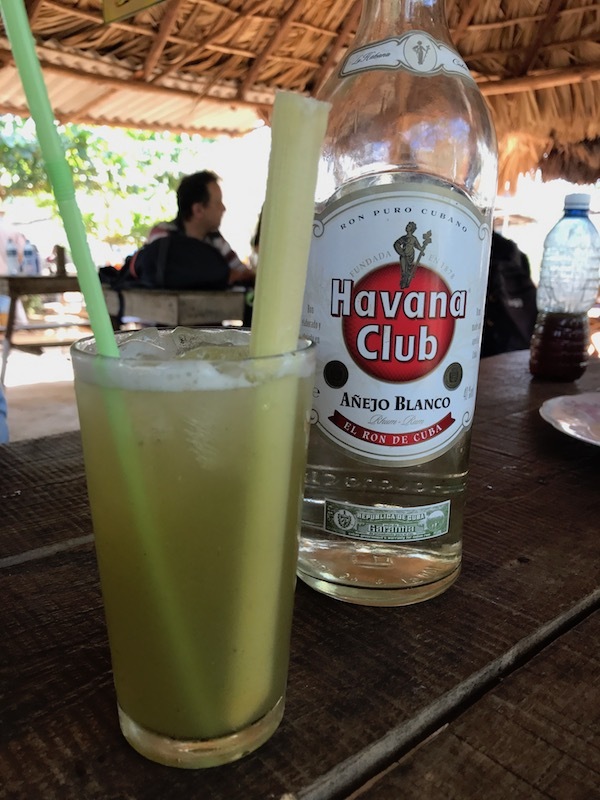 I haven’t been to Cuba in a long time. I really need to return there to see more. Hopefully I can take my family one day.